As per a report from Spanish outlet AS, reigning European champions Real Madrid will go head to head against current English champions Manchester City in the pursuit of Spanish under-21 international Junior Firpo. 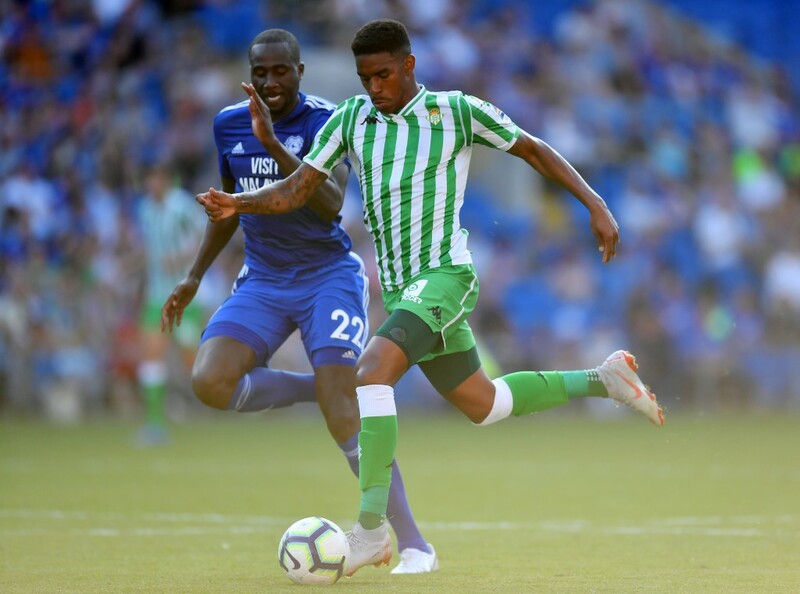 The 22-year-old Firpo has been with Real Betis since 2014 and got his first breakthrough with the senior team in February last year in a La Liga encounter against Deportivo La Coruna. He went on to feature on 13 more occasions before the end of the 2017-18 season, scoring and assisting two goals apiece, and playing a part in helping Betis seal qualification to the UEFA Europa League. Firpo has stepped it up a notch this time out, featuring 21 times in all competitions, finding the back of the net on three occasions and setting up two more, impressing in La Liga as well as the UEFA Europa League. A recurring hamstring injury has hampered Firpo to a certain extent this term, but his talent is clear for everyone to see. 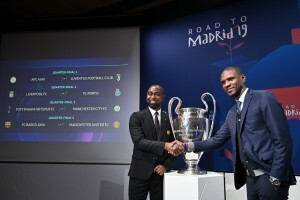 The full-back’s growth over the past year has put both Real Madrid and Manchester City on high alert, with reports in December claiming that the two European heavyweights had been monitoring Firpo’s development at Betis. Real Madrid have had Marcelo as their first-choice at left-back for years now. But, a series of poor performances this season have seen the Brazilian international yield his position in the starting lineup to academy product Sergio Reguilon in recent weeks. The 30-year-old, who is contracted with Los Blancos till the summer of 2022, has flirted with a move to Juventus in recent weeks (h/t ESPN), which would explain Real Madrid’s interest in Firpo, as they look to strengthen their left-back department. Manchester City spent heavily on Benjamin Mendy and Danilo in the summer of 2017. But, the former has spent a lot of time out on the treatment tables, while the latter hasn’t been able to establish himself in Pep Guardiola’s first-team. Fabian Delph and Oleksandr Zinchenko have been used as makeshift left-backs but that does not represent a long-term solution for the Cityzens. The reigning Premier League champions have been linked with a move for Leicester City’s Ben Chilwell recently in order to address the left-back issue. But, as per AS, they are keeping tabs on the 22-year-old Firpo as well. Firpo signed a new contract with Real Betis, extending his stay at the club till the end of the 2022-23 season. But, the report from AS adds that the contract contains a release clause worth €50 million which both Manchester City and Real Madrid are prepared to trigger in the summer. The 22-year-old wing-back has shown plenty of promise and potential in his short career at the top level, although frequent injury problems may lead to some concern among his suitors. It remains to be seen, however, if either of Real Madrid or Manchester City come up with an offer for Firpo in the summer.